Women make up 47% of the overall UK job market, but in some sectors, the gender gap is much broader. In traditionally male dominated sectors such as manufacturing and engineering, women are still struggling to make their way. In the latest report by manufacturing industry body, the EEF, women make up just 23% of the manufacturing workforce, with 9% being engineers and only 5% in management positions. However, paving the way for young girls in manufacturing are some incredible female leaders and beacons of hope. As an initiative that encourages young people to look towards a career in manufacturing. Joanna Robinson, managing director, Masfield Pollard is enthusiastic about engaging with the next generation and as a female leader in the industry, her voice is particularly powerful when it comes to young women. Joanna’s business breaks the industry mould when it comes to gender balance, with 60% of their board made up of female directors. 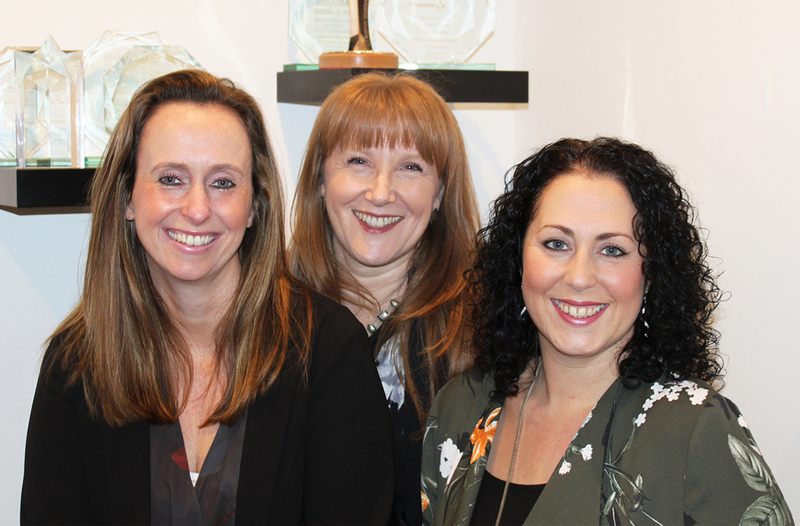 Joanna is joined by finance director, Allison Howgate, and sales director, Louise Frankland. Under Joanna’s leadership, business results continue to improve, with growth at record levels in the last 12 months, step change improvements in staff engagement levels, and customer service pledges*. Female-led blind rivet manufacturer GESIPA is also opening its doors to Bradford’s young people, with the intention of encouraging career choices based around STEM (science, technology, engineering and mathematics) subjects. She said: “Being a woman in manufacturing and engineering can be challenging as it’s such a male dominated environment. I’ve had many hurdles to overcome over the years, in particular around proving myself to my peers. But as more women join the sector, the gap is getting smaller and with female role models at the helm of a raft of successful manufacturing businesses, we have a responsibility to encourage more young people – and particularly young women – in. Support from Bradford’s female manufacturing leaders is good news for Nick Garthwaite, President of Bradford Chamber and managing director of international chemicals and detergents manufacturer, Christeyns. Speaking about the Bradford Manufacturing Week, Nick said: “To make Bradford Manufacturing Week a success we need all manufacturers to open their doors and help us to inspire, excite and engage young people in an industry which keeps our sector thriving.